Provide reliable easy to use service for companies and individuals to exchange bitcoins. "One of the only platforms that combine fiat support & conspicuously low fees (withdraw problems)"
1. Convinient platform that supports fiat money - you can deposit USD (or other fiat money), convert it to crypto and it can be done in the opposite way - convert crypto money to fiat money and withdraw it to your credit card/bank account. 2. 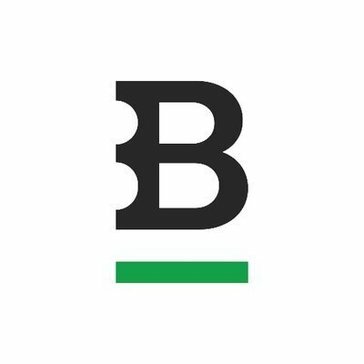 Bitstamp API - easy to use and implement in your website or mobile app. 3. Low trade fees - comparing to most of the crypto exchanges. 1. Frozen withdrawal of funds - two weeks and no answer from support - that happened many times (in this case - the service has disabled the withdrawal of funds due to the withdrawal of funds to suspicious addresses). 2. Withdrawals sometimes are getting canceled after few minutes (it's not problem in my credit card/bank account). 3. Bitstamps is not offering a referral program in their platform. 3. Small amount of crypto assets to trade - only BTC, BCH, ETH, XRP, LTC. 1. Consider using bitstamp if you need the ability to deposit fiat money (USD for example) and then buy /trade with it the crypto money - this is really significant advantage of this platform. 2. Withdraw fiat money doen'st work sometimes - at first, check the withdraw action with small amount of money. 3. Bitstamp API is really useful and convinient to implement in your business. Depositing crypto money on the account, then converting them to USD/other fiat money, and then withdraw to a bank account using a credit card. Bitstamp is one of the only platforms that let us invest the money of our customers directly from fiat money and convert it to crypto money. "Used by 700,000 traders worldwide"
Bitstamp is one of the oldest exchanges that exist, is used by 700,000 traders worldwide, currently based in Luxembourg, offers 15 pairs to negotiate, admits U.S. dollars and euros, has a legal license to trade in the EU and keeps 98% of its funds off-line, charges fees of 0.25% per trade and decreases if one trades often. Account verification takes forever and customer service is poor. It is a very reliable and secure company, with a majority of European users and very low rates for large traders. It allows me to buy cryptocurrencies with credit card almost instantly, it offers a very interesting API that allows me to automate some actions. "A secure cryptocurrency exchange for professional users"
This exchange allows users to request their immediate offers at the best bid or price, as well as orders for filtering location and other options. Bitstamp is the world's first to use the best security practices, including MultiSig technology, for its wallet. Bitstamp has a good mobile app, but this app has a lower rating on the Apple Store. Users complain that the update in this app is slow and does not provide all the features that are available on the site. The purpose of this cryptocurrency exchange is to eliminate the gap between the cryptocurrency instruments and the traditional financial industry. Due to the hacking of this cryptocurrency exchange in 2015, the ability to connect to the site with Trezor and Ledger hardware wallets can help ensure users who want to set a certain amount of their cryptocurrency for online exchanges. * We monitor all Bitstamp reviews to prevent fraudulent reviews and keep review quality high. We do not post reviews by company employees or direct competitors. Validated reviews require the user to submit a screenshot of the product containing their user ID, in order to verify a user is an actual user of the product. Hi there! Are you looking to implement a solution like Bitstamp?